This exercise builds leg strength, stability of the pelvis and torso, and smooth control of your leg swinging forward in gait. There is a natural tendency to rush through the difficult spots in a movement. Working slowly and deliberately with this movement can help you identify and improve on your challenges to efficient running form. 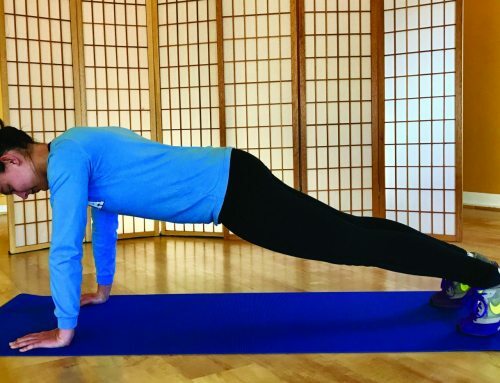 The May issue had a side plank variation of this exercise for cycling. 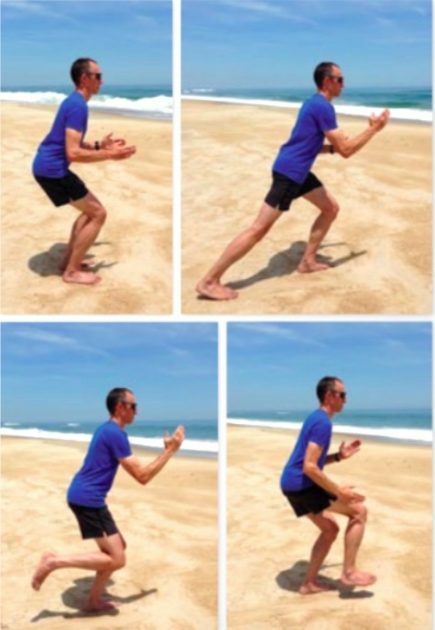 Both exercises can be refined for running or cycling simply by changing the pattern of the free-swinging leg to match the desired sport. Sit into a squat form, folding back from the hips, knees remaining over feet, with torso and shins forming parallel lines and head erect. Shift your weight to one leg while holding the form of the squat. Slightly lift the unweighted leg and begin performing a slow and steady running motion with this leg. Lightly touch your foot slightly in front of you where you would want to land if running. Slide your leg back while your foot brushes the ground, extending fully behind you. 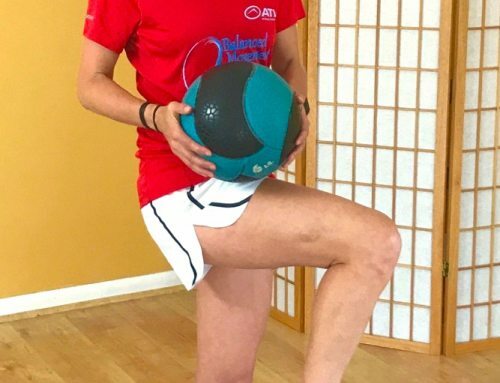 When your leg is fully extended, push off with your ankle, bend your knee to bring your foot toward your hip, and then swing your leg forward from the hip. Repeat 10-20 times, and then switch to the other side. 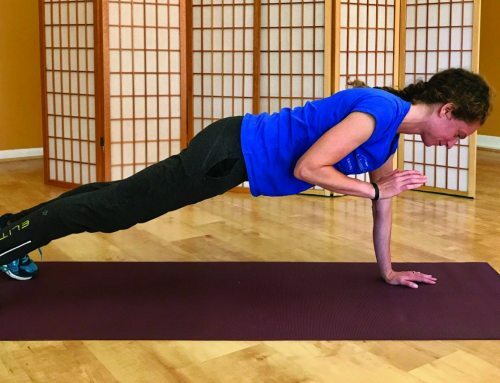 Optimum results come from holding a smooth motion throughout, so take it slowly and work on cleaning up the uneven spots to refine the efficiency of your running form.